Here are my Top 5 homemade munchies! What are your favorites? Here is the Munchy I love from all of the entries from Janice Ortiz! You make a box of brownies and you cut off a perfect square. While it’s warm, you put your favorite ice cream, mine is chocolate chip cookie dough… you add a little bit of fudge, some toffee pieces just for the crunch and believe it or not you add candied bacon. You get the sweet, chocolaty, crunchy taste all in one bite. Janice gets the Casper mattress of her choice! 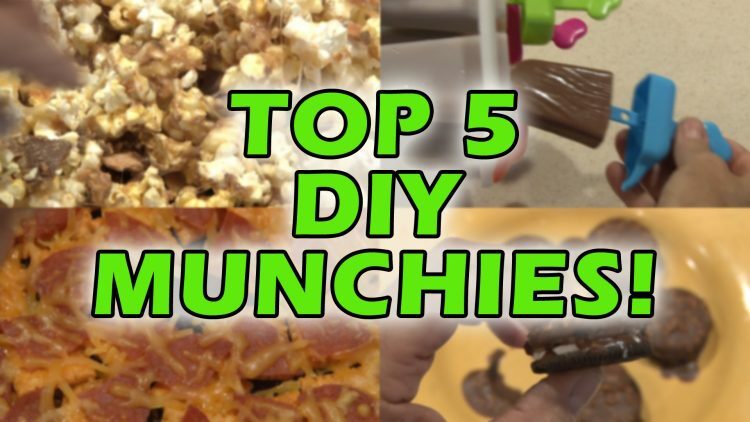 Than you everyone from entering and sharing your DIY Munchies! ← Make Your Own Hand-Held Video Game!